This article compares the ceiling fans and the tower fans. Some of the aspects that will be covered in this article include where these fans can be used, their strengths, differences, and warranty periods. We begin by looking at what these fans represent. The tower fan is more like an updated version of a ceiling fan. It is a long narrow cylinder that contains various openings and closings for cooling your house. These units have multiple blade lining in their interior design which spins quickly and push out large quantities of air through their openings. Tower fans differ in terms of selection. A 6-inch model would be ideal for cooling an individual and can be comfortably placed on a desk. A 72-inch model on its part would be ideal for cooling an entire room. All the tower fans use the same basic form and only differs in width, shape, and material. A ceiling fan is basically an electrically powered mechanical unit that is usually suspended from the ceiling of a room to provide the cooling functions. It uses hub-mounted spinning paddles to spread air around the room. Below you can read where the ceiling and tower fans can be used as well as their various strengths. Moreover, you will be able to understand the differences between the tower fans and the ceiling fans. That way, you will be able to make up your mind whether you should invest in a tower fan or ceiling fan. Where Should They be Used? What Are the Strengths of Both? What are the Differences Between These Fans? 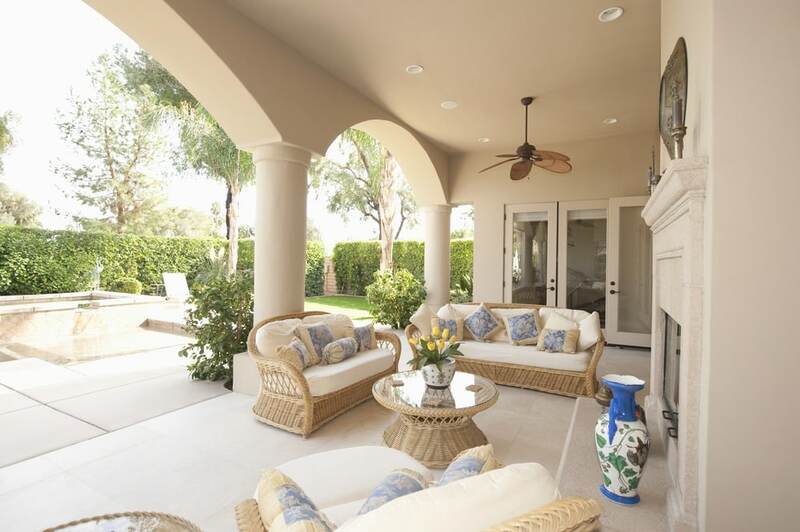 Tower fans have been specifically designed with interior enthusiasts in mind. These fans have to be placed in a certain orientation within the given room. You need to understand the structure of the air flow within the room to be able to maximize the efficiency of these units. These fans have a beautiful look and a fine performance style. Tower fans can be moved from one location to another to provide the cooling functions. Ceiling fans usually come in various sweeps to cover various surface areas. These fans are elevated and centrally located in a room and hence able to cover larger areas. These fans can be used both for cooling and heating purposes. For cooling purposes, the fan has to be positioned in a way that allows the air to be blown downwards. 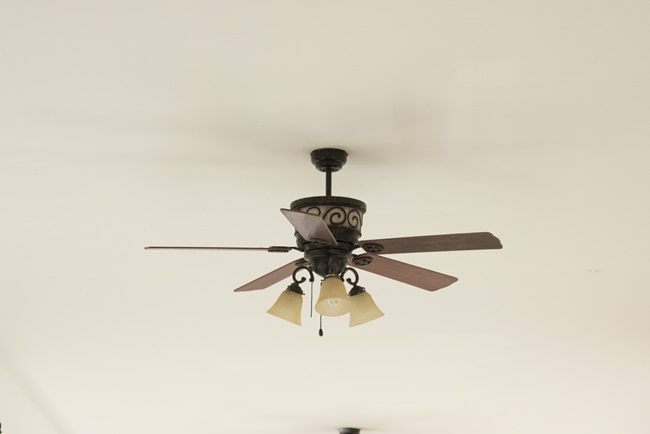 For heating purposes, the ceiling fan needs to be set to face the opposite direction to cause cooler air to rise to the ceiling and warmer air to move downwards. Ceiling fans on their part are not portable and can only be used in the installed location. Both the tower fan and the ceiling fan have their own strengths. As far as appearance is concerned, the ceiling fans tend to offer more aesthetic value than the tower fans. Having been centrally located in a room, ceiling fans tend to offer a more intentional and permanent look. They also come in many varieties to enable you to choose one that suits your preferences. You can, for instance, choose a wooden blades fan to match your home furniture. You can also choose one with metallic blades that matches your home decor. The inclusion of a light fixture in ceiling fans adds to their aesthetic value. This feature makes it possible to cool and light an entire room at the same time. Unlike ceiling fans, the tower fans don’t require any sort of installation to be used. They just require to be assembled and then plugged into the power source. They can be a good option for renters. They can also be a great alternative for those rooms that may not work well with a ceiling fan. Both the ceiling fan and the tower fan comes with smart capabilities which can be easily integrated into your smart home. This gives you more control over the room temperature especially when you are not at home. In terms of cooling, ceiling fans have the strength of cooling larger spaces. They have superior cooling capabilities that make them a perfect choice for larger rooms. They are normally installed in a central location within the ceiling hence giving them a better vantage point. Their blades are much longer and hence able to move and effectively circulate more air. The tower fan on their part tends to give more condensed cool air hence providing a steadier stream than ceiling fans. They can be placed next to your location to provide a more cooling effect than even what the ceiling fan can do. Their portability means that you can get them closer to where you are sitting or where you are sleeping to get that steady flow of cool air. Ceiling fans on their part tend to be less obstructive and safer to use especially if you have children and pets. They are usually placed on the ceiling meaning that they won’t interfere with your flow space. Children won’t be able to reach them and also there will be no wires hanging around that can be tripped over. The first difference between these units is the way they operate. Tower fans usually generate a horizontal flow of air while the ceiling fans tend to generate a funnel-like circulation. Tower fans also tend to have a quieter operation than the ceiling fans. 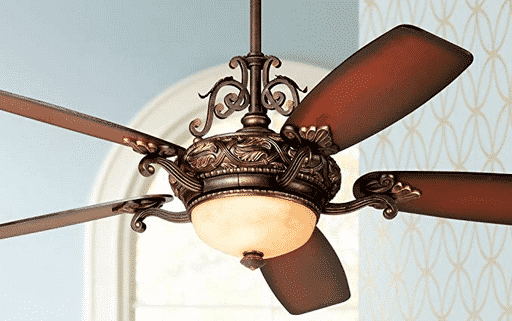 The large fan blades of a ceiling fan can be very noisy during operation. It is not easy to hear the tower fans operate unless you are located close to them. Then there is the issue of space utilization. Ceiling fans can be effectively used in a large room because of the larger surface area and longer blades. They are usually installed on the ceiling meaning that they don’t occupy any floor space. The tower fans require no installation but have to be placed somewhere in the room to provide the cooling mechanism. The spaces occupied by these fans won’t be there for other purposes. On the brighter side, tower fans tend to have a compact design than the ceiling fans. This means that the space occupied by a tower fan in the room is small than that of the ceiling fan. Their portable nature also means that you can shift them to a different space to release their current space for other functions. There is also the issue of convenience. Most tower fans have a remote-control unit, unlike the ceiling fan units. Most of the ceiling fan units can be operated without a remote but this means you have to keep moving in between the seat and the control switch. A remote control helps to enhance the convenience of using a fan. These fans also differ in terms of air filtration mechanism. The ceiling fans don’t come with specific means for filtering the air passing through them. It is usually a common thing to see large quantities of dust coalescing around them. Tower fans usually come with two filters that help in purifying the air passing through them. One of the filters has been designed to get hold of large pollutant particles. The other filter has been designed to take care of allergens and other smaller particles carried by air passing through the fan. There is then the issue of ionization. Most tower fan units use a strong electric charge for filtering further the contaminants contained in the air. This process is referred to as ionization and is unique to the tower fans. Tower fans contain an air ionizer which purifies the air by electrically charging the air molecules within the room. They use ions to eliminate microbes, particulates, and odors. There is then the issue of style. Tower fans tend to be more stylish than their ceiling counterparts. Their boxy shape design can be made more stylish by adding various color schemes. In fact, tower fans can be made in a manner that complements your home’s interior look. The ceiling fans also have their styles, but their options are limited. When it comes to circulation options, tower fans tend to have more options than the ceiling fans. With the tower fan, you can choose options like turbo and quiet modes to facilitate a greater variance in the air circulation speed. Having considered the various aspects of both the tower fans and the ceiling fans, we can make various conclusions. One is that the ceiling fan is has a more intentional design which makes it ideal for cooling large rooms. The tower fans, on the other hand, are more versatile and can be easily moved around the house according to the desired cooling effect. The other thing is that ceiling fans require some level of commitment when it comes to installation. Tower fans require a lesser commitment in terms of installation as they just need to be assembled and they will be up and running. If you need a fan unit that will serve you for a shorter time frame, then a tower fan would an ideal choice. On the contrary, if you need a long-lasting fan unit for your home, then a ceiling fan may be an ideal choice. The ceiling fans tend to come with longer warranty period than their tower fan counterparts. A ceiling fan is a great tool for long-term cooling of a large room. A tower fan is a great tool for providing versatile and portable cooling options for your home. Depending on your needs, you can combine both units to enhance the cooling options for your home.